Experimental fish species (Amphiprion ocellaris) were cultured for 90 days in five tanks as five groups. Five different types of formulated feeds were prepared using four different natural carotenoid sources viz., seaweeds, red Gracilaria corticata (Feed-A) & brown Sargassum wightii (Feed-B), commercial astaxanthin (Feed-C) and Beet root Beta vulgaris (Feed-D) at a rate of 20 g/100 g feed. Control feed (Feed without Pigment extracts), Feed A (Feed with Pigment extracts of red seaweed), Feed B (Feed with Pigment extracts of brown seaweed), Feed C (Feed with commercial astaxanthin), Feed D (Feed with Pigment extracts of beet root). One set of control and four set of experimental groups were maintained for colour enhancement test. All fishes were fed twice a day with one control and four different experimental feeds. The proximate composition of feed ingredients and pigments sources were analyzed. At the end of experiment, colour and growth of the fishes were recorded. Among five treatment groups, the highest pigmentation range was obtained in fishes fed with feed-D followed by feed-A, feed-B, feed-C fed fishes and lowest value in control feed. 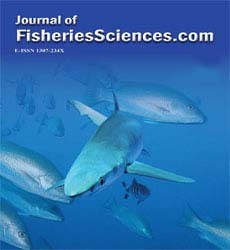 Growth rate was high in feed-D diet fishes and low in control diet fishes. The pigment extracts of beetroot also has potential antioxidant activity and less artemia toxicity. This will be first step for the future studies in this line. From this study it could be concluded that the natural colour enhancer feeds can be prepared at a lower cost using cheaply available sources for pigments enhancement in ornamental fishes. Nanthini devi K, Ajith Kumar T.T., and Balasubramanian T.